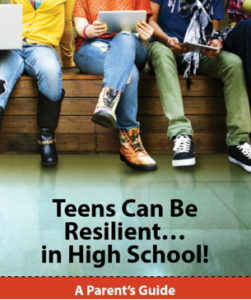 For teens and their parents, the start of high school can bring opportunities, challenges and a range of new emotions. This is why Durham is working to support teen mental health and build resiliency during this key transition. Durham Region’s Health Department and its four school boards developed a new resource to inform parents so they can support their teens’ transition to high school. With such a breadth of material, the resource can be used in a wide variety of settings. For educators, some of these settings might include Grade 8 or 9 high school orientation events, meet the teacher nights, parent-teacher interviews as well as in Guidance departments, school newsletters, on school websites and elsewhere. The resource has been printed and can be viewed and ordered online.